Rebecca B. Aherne, former shareholder at Bishop, Barry, Howe, Haney & Ryder, is an experienced insurance coverage and bad faith attorney. She has litigated a number of complex insurance coverage and bad faith lawsuits since 1983 including involving insurance for claims for asbestos bodily injury, asbestos building products and defective siding. In addition to her experience in matters involving commercial general liability policies, Ms. Aherne has assisted insurers with coverage issues under trucking, cargo, auto, homeowner, commercial property and umbrella policies. She further specializes in the investigation and handling of suspected fraudulent insurance claims. Ms. Aherne holds an AV peer review rating from Martindale. Ms. Aherne was a long-time member of the National Association of Insurance Women, served as President-Elect (1997-98) and President (1998-99) of the San Francisco Chapter of NAIW and as Public Relations Chair (1999-2000) and Legislation Liaison (2007-2008) of the California State Council of NAIW. 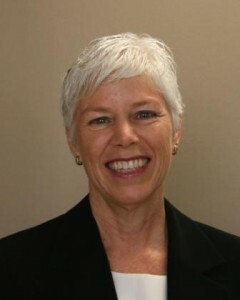 She also served as the Northern California Coordinating Council Coordinator from 2007 to 2009. She was named Insurance Member of the Year by the San Francisco Chapter in 1996, and in 1998, her firm was honored for its support of the Association. She received the San Francisco Chapter Industry Appreciation Award in 2009, and the Hall of Fame Award in 2012. Ms. Aherne has been a guest speaker for the Environmental Claims Managers Association, the National Business Institute and the NAIW. She has also given in-house seminars for insurance companies on a variety of topics, including Environmental Coverage Review and Allocation of Environmental and Latent Liability Losses in Insurance and Reinsurance cases. Ms. Aherne prepares reports regarding insurance-related judicial decisions, and is the author of numerous articles on insurance coverage, including “Insurance Coverage Law in California” published by the National Business Institute. Ms. Aherne received her J.D. from San Francisco Law School and a B.A. degree in French from the University of California, Berkeley. Ms. Aherne is a member of the State Bar of California. Ms. Aherne is admitted to all California Courts and to the U.S District Court, Northern District of California.